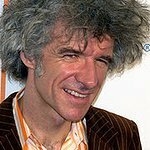 Dan Zanes is best known for being a member of band, The Del Fuegos, in 1980s. Since having his daughter, Zanes has made children’s music with other fathers in New York City. He has more recently become the front man of band Dan Zanes and Friends. 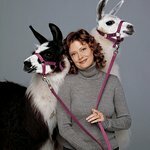 Dan is an honorary board member for Little Kids Rock and has donated proceeds from some of his albums to the world hunger charity Heifer International. Google trends for "Dan Zanes"
We don't have any videos related to Dan Zanes.